The ‘Doctrine of Pleasure’ is a principle of the common law, the origins of which may be traced back to the United Kingdom. The Doctrine of Pleasure is a special prerogative of the British Crown. Similar provisions have been included in the Constitution of India to protect the interest of civil servants as well as ensure national security and look after public interest. The Doctrine of Pleasure says that certain authorities hold office till he or she enjoys the confidence of the President or the Governor. One exception to this Doctrine is that it could be excluded by a Statute of the Parliament. The rule in England was that a civil servant can hold his office during the pleasure of the crown and the service will be terminated any time the crown wishes. The same rule is applied in India. This doctrine talks of power to dismiss a Government servant at pleasure and is subject to only those exceptions which are specified in the Constitution itself. Civil Servants are considered as the back bone of the administration. In order to ensure the progress of the country it is essential to protect civil servants from political and personal influence. So provisions have been included in the Constitution of India to protect their interest in order to ensure national security and public interest. Before understanding the meaning of ‘Doctrine of Pleasure’ in Indian Context, let us first understand the genesis of this term. This Doctrine has its origin in the Common Law of England. The origin of the Doctrine of Pleasure can be traced to a Latin Maxim durante bene placito which means “during good pleasure” or “during the pleasure of the appointer” as opposed to an office held dum bene se gesserit which means “during good conduct”, also called quadiu se bene gesserit (“as long as he shall behave himself well”). Black’s Dictionary defines ‘Pleasure Appointment’ as the assignment of someone to employment that can be taken away at any time, with no requirement for notice or hearing. “… I take it that persons employed as the petitioner was in the service of the Crown except in cases where there is some statutory provision for a higher tenure of office, are ordinarily engaged in the understanding that they hold their employment at the pleasure of the Crown. So I think that there must be imported into the contract for the employment of the petitioner, the term which is applicable to civil servants in general, namely that the Crown may put an end to the employment at its pleasure. 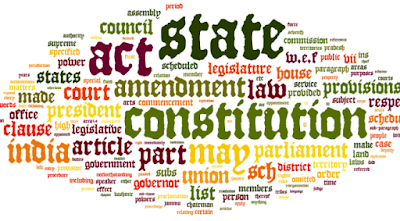 In India, Part XIV of the Constitution of India deals with services under The Union and The State. Article 310 of the Indian Constitution incorporates the Common law doctrine of pleasure and expressly provides that all persons who are members of the Defence Services or the Civil Services of the Union or of All-India Services hold office during the ‘pleasure of the President’. Similarly, members of the State Services hold office during the ‘pleasure of the Governor’. The rule is qualified by the words “except” or “expressly provided by the Constitution.” Thus Article 310 itself places restrictions and limitations on the exercise of the pleasure under Article 310 are limited by Article 311(2). The services of permanent Government servant cannot be terminated except in accordance with rules made under Article 309, subject to the procedure in Article 311(2) of the Constitution and the fundamental rights. Thus Article 311 becomes a proviso to Article 310 and services of any civil servants cannot be terminated at pleasure unless the mandatory provisions of Article 311 have been observed. Doctrine of pleasure is further restricted by the general law of the land which empowers any civil servant to file suit in a court of law for enforcing any condition of his service and for claiming arrears of pay. Power to dismiss at pleasure any civil servant is not a personal right of the President or the Governor as the case may be. It is an executive power which is to be exercised at the advice of council of ministers. 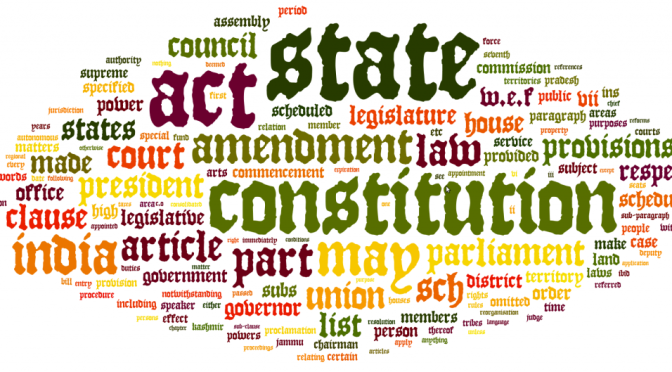 The Doctrine of pleasure as contained in Article 310, being a constitutional provision, cannot be abrogated by any legislative or executive law; therefore Article 309 is to be read subject to Article 310. Doctrine of Pleasure under the Indian Constitution is also based on the same policy considerations as it existed under the common law in England. Though doctrine of pleasure is accepted in India as it has developed in England, it has not been completely accepted in India. The above Article empowers the Parliament to make laws to regulate the recruitment and conditions of service of persons appointed to public services and posts in connection with the affairs of the Union. It also provides an authority to the President to make rules for the above purposes until provision in that behalf is made by or under an Act of Parliament. This Doctrine of Pleasure is embodied in India in Article 310(1). This is the general rule which operates “except as expressly provided by the Constitution.” This means that the Doctrine is subject to constitutional limitations. Therefore, when there is a specific provision in the Constitution giving to servant tenure different from that provided in Article 310, then that servant would be excluded from the operation of the pleasure doctrine. (1) Except as expressly provided by this Constitution, every person who is a member of a defence service or of a civil service of the Union or of an all India service or holds any post connected with defence or any civil post under the Union, holds office during the pleasure of the President, and every person who is a member of a civil service of a State or holds any civil post under a State holds office during the pleasure of the Governor of the State. 5. The Chief Election Commissioner. Read some articles about india education common issues and all the secrets you may face.